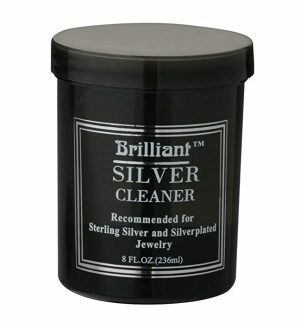 Silver Jewelry Cleaners That Work like Magic and Cost Just Some Bucks! 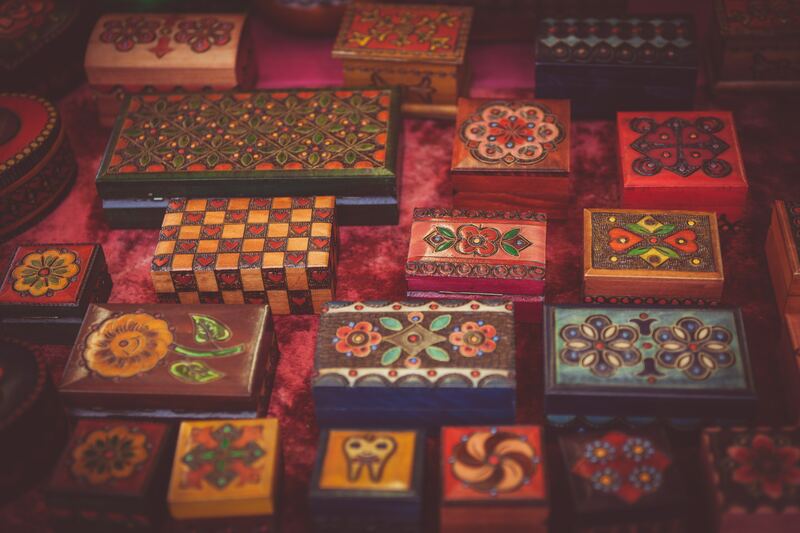 When it concerns jewelry (or even otherwise), it’s usually considered hard to find anything budget-friendly. And that’s without the assurance that it’ll work as you intended. 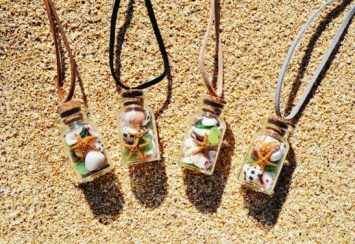 Nevertheless, if you’re the type who pours hours into feeling a single necklace, you’ll notice that all of this is surface talk. We dug deep and found 10 silver jewelry cleaners that easily work despite being budget-friendly. That, right there is what we call magic! 5 will be in solution form, while the other 5 will come in the form of electrical devices. With either, both will easily remove all the dirt that has built up over time. It’s essentially a stress-free way to quickly restore shine to an old piece of jewelry that you have. In other words, it is nice for Halloweens where you’re going after that vintage look and you need accessories that fit the mood. Alternatively, it may be your favorite, but very/slightly old pair of Sterlin silver earrings that you got a while back. Just a solution prepared and shipped to you to use. Using it is a straightforward process that you’ll definitely love! In a simple container, you’ll find 8 oz of jewelry cleaning solution at a budget-friendly price. As a matter of fact, let’s go further and say we wouldn’t complain if the price was higher than this with the kind of effectiveness we noticed. And on that note, let’s move on to the other part. 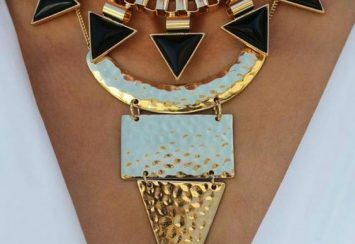 Let’s talk about the level of bodywork the solution does on any silver jewelry. When you suspend any silver jewelry or any item coated in silver (including Sterling silver) in the solution for a few seconds, the uppermost layer that you see gives way to a shiny layer beneath. No matter how long it’s been in that spot you found it, the solution easily eats through any dirt or blemish no matter how thick it is. Just that it may take some time, depending on the number of layers it has to go through. Nevertheless, be rest assured that the solution won’t eat through the silver itself. But if it were pieces of jewelry made out of gold or platinum, it’ll be a good move on your part to avoid using the solution on them. It will strip off the gold easily since gold can’t take that level of beating. The same thing goes for any gold-plated necklace or pair of earrings that you have lying around. Still, despite everything, it’s still 8 oz and it will be due after some time. It’s probably a good idea to have a couple of the cleaners stowed away for emergencies. Alternatively, you could buy for your daughter who just started her collection of jewelry, your son if he even knows about fashion more than you or even a friend who’s literally hooked on jewelry. As the name implies, this solution leans heavily on simplicity and judging by our experience so far, it has that approach down and locked. The accessories you want to clean don’t need more than a dip and it literally makes them come alive. Heck, when we looked at them from certain angles, they almost look new. This makes them far more wearable than what their former condition had to offer us. 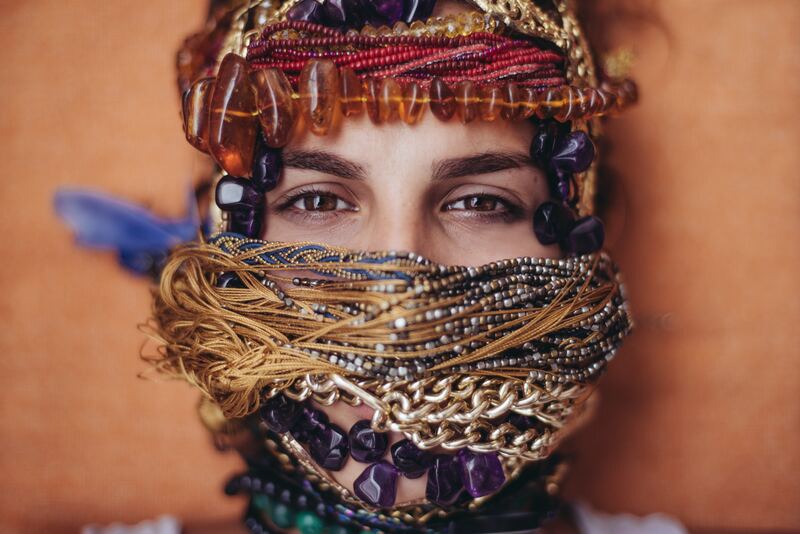 It’s a perfect solution if you have jewelry pieces that you don’t want to abandon just yet. There’s nothing wrong with that since scenarios are always different. For some, it might be an old memento from someone close to them. There’s certainly nothing wrong with reviving and wearing an accessory that reminds you of your partner. Though, as we mentioned, it might be something else like we mentioned. Maybe you just like the design or you just found it buried in your old school bag. Now, having said that, there’s the topic of the restrictions—or better yet, the lack thereof. 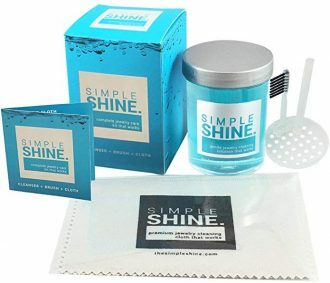 The Simple Shine solution can be applied to gold, platinum, Sterling silver, and even pearls. We found the latter especially surprising, seeing as the device above can’t necessarily clean anything other than silver. The feature is double-edged but it certainly is effective since the device using it is first on our list. 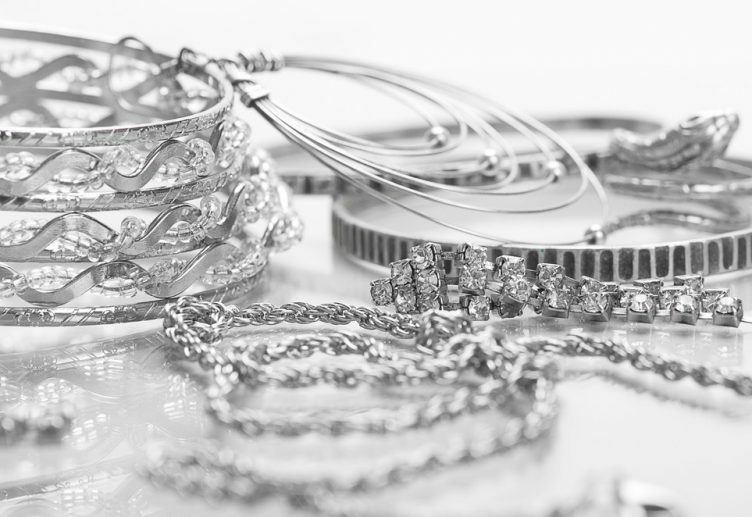 What we love about solution-based jewelry cleaners is that they’re specifically built to avoid excessive removal of silver. The solutions are primarily created to gently strip off the layer of dirt/rust to restore shine. They are also meant as quick solutions (pun intended) to the issue of having a favorite jewelry that’s in bad shape. 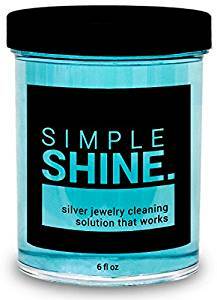 Luckily, Simple Shine has another product that works in under 40 seconds and also doesn’t eat its way through silver jewelry pieces. All at a convenient price that pushes us to say that you should get more than one. Especially if you have a lot of jewelry pieces that you have to fix. That includes pieces made from other types of material too. We’re talking materials such as pendant necklaces with colored stones, gold earrings, and rings, or a platinum bracelet. 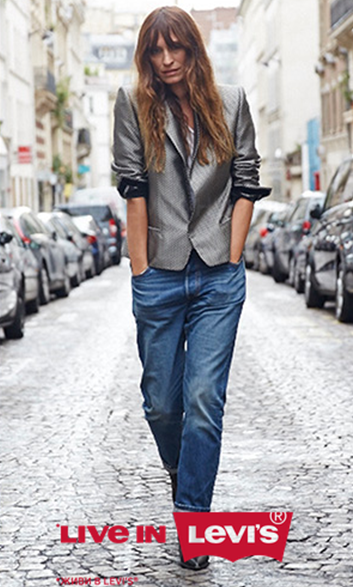 The only thing you need to know here is just that the solution is tailored to silver. So it’s advisable to check your jewelry over an interval of 10 seconds to prevent pits and discoloration on its surface. In the case of precious jewelry from your family members and friends, this tidbit is even more important. 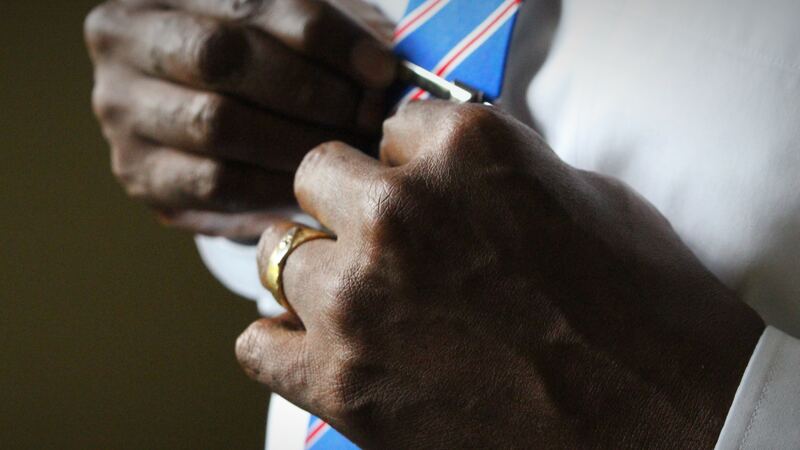 On one side, the jewelry has become your favorite due to the meaning behind it. On the other, stripping away part of its color or even the material itself isn’t flattering on the looks and thus, message. 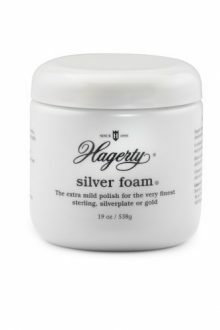 For pieces of jewelry made out of silver, gold, or simply plated with any of the two, Hagerty offers a solution that works in just under 20 seconds. And that’s at a size and thus, price, that even triumphs that of others above. After that, it doesn’t lag behind in terms of ease of use, and how it does this is by combining both cleaning and polishing into a simple bottle. So, using just a bit of the solution is good enough to restore that old shine. Moving on, if you remember what we mentioned about the solution being suitable for gold, that includes 24k jewelry models too. So, if it’s for your engagement or wedding ring, a pair of earrings from your boyfriend, or simply some old stuff that you don’t want to let go that fast, you’re good to go. It won’t harm the metal, nor will it cause any color shift in the case that it’s even a mixture of gold and Sterling silver. And if you’re using the cleaner as a gift for your daughter or friend, this kind of assurance is definitely needed. No one wants a situation where the fingers point to you for the blame of something so sentimental. There’s a basket, a brush, a polishing cloth, and then the solution itself in a 6 oz container. It’s not the best on this list, but it’s still under $20 like the others. The solution is made with clean ingredients. That means no ammonia, abrasives, or any other harsh material (chemicals). Now, the real advantage of this is in terms of application. Yes, the solution gets rid of all tarnish and even dirt, but that doesn’t mean all pieces of jewelry are made from silver or Sterling silver alone. Gold may be mixed with silver to create a pair of earrings, there could be stones (CZ) embedded in your ring, or the chain holding the pearls up is silver too. The possibilities are limitless and it’s because of that, the solution can accommodate different metals and stones. Consider the fact that the piece of jewelry is sentimental and any damage to it is going to hurt. We mean, any explanation that you can come up with won’t sound that good, and it’s even more so if you’re explaining to your mom or partner how it all went down. So using safe ingredients is the best route to take since it effectively prevents the possibility of killing the looks of the jewelry pieces. You may need long-term investments, and electrical jewelry cleaners are the best in that regard. Perhaps you have a lot of silver pieces of jewelry lying around and using a solution will really be underwhelming. Also as a fashion enthusiast, having a jewelry cleaner around is definitely helpful as it allows professional use. In other words, it’s perfect for your eyeglasses, watches, and just about anything that you can think of which is made out of Sterling silver. In fact, let’s dabble with this scenario a bit. You have a watch a passed down from your father/mother that’s heavily tarnished. But then the watch isn’t water-resistant. The Magnasonic cleaner bypasses the issue by using ultrasonic bubbles to eat away at the dirt or surface flaws found on the piece of jewelry you’re cleaning. It ordinarily takes minutes, which is a stark difference from a solution-based cleaner that works in just some seconds. Regardless, there’s a plus side to things, which is the fact that it’s almost impossible that you’ll find faults, pits, or flaws as a result of the cleaner. That includes accessories made from Sterling silver or even 24k gold which is pretty soft. In the latter, it might be gold used on a special day. That memory must always be kept. Just like the Magnasonic cleaner, this has the same amount of features at a budget-friendly price too. Think of this; you know someone who owns a lot of jewelry and you’ve been looking for the perfect gift for them. We recommend you give them this Famili cleaner for all of their jewelry pieces that are mainly made out of silver. It’s not a gift that’ll disappoint or even cause issues by creating more pits, dentures, or flaws in the design of the jewelry since it uses the same principles as the one above. A bit of water and then tiny bubbles attack all the dirt/tarnish that has built up over time on the surface. After that, the bubbles enter and completely clean out all the nooks and crannies that it finds along the way. This is particularly ideal for cleaning silver necklaces that have seen a lot of use. Following up on that, you have to know that there are 5 cycles on the cleaner. The first one fits glasses and other delicate items—while the last ones (cycle 4 and 5) are best for jewelry with either a lot of stones (i.e Cubic Zirconia or Swarovski crystals) or those that are extremely tarnished. We used this cleaner on 2 things; a ring with Cubic Zirconia encrusted in the heart of things and a bracelet completely made out of silver. To keep things short on this topic, let’s just say it’s like the cleaner removes a layer from the surface of both. Everything beneath is left shiny and almost new, with most if not all of the tarnish gone. It’s one of the most effective cleaners that you could ever buy. The thing is perfect if you have a lot of jewelry that also holds a lot of memory. Examples are your wedding ring from your partner, a necklace from mom, and maybe a pair of matching earrings that you share with your boyfriend. 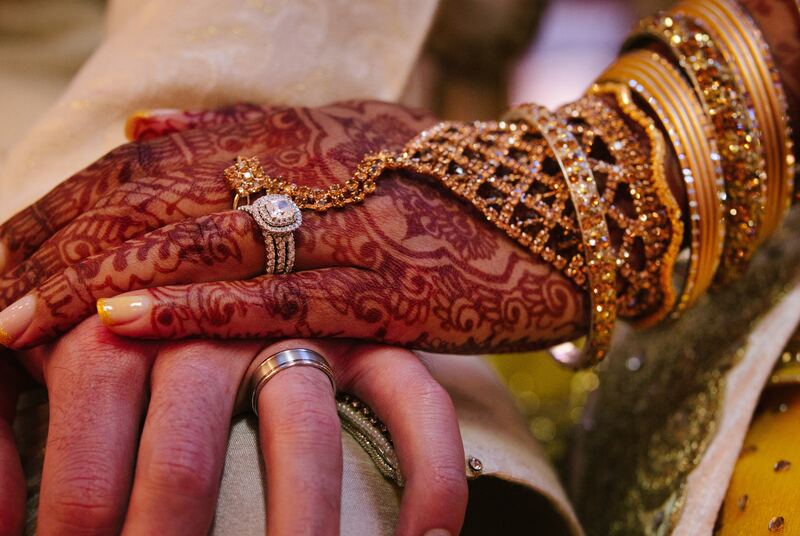 The number of memories that all these pieces of jewelry would have seen will be staggering. So to maintain both the looks and the memory, this is a perfect alternative to using solutions to clean your accessories made of silver. And that’s after considering the nice price tag on the cleaner. If you’re thinking of giving it out as a gift, take note that you shouldn’t over-measure the needs of the person you’re giving the cleaner. For anyone who you know that has an infinite number of earrings (for multiple piercings or simply taste), at least 5 necklaces, a couple of watches, and others, it’s the perfect gift since it keeps all of these items clean, polished, and thus shiny for use at any time. People like this will generally love the fact that you pay much attention to every little thing about them. For other people that you know who’re minimalists, the price is right, but you can buy the solution-based cleaners for them instead. No need adding to their list of devices that they’ll hardly use, and thus, subtracting from the potential of the gift. It certainly does have very useful features, doesn’t it? Anvid packed the TrioShine with UV light sanitizer and more importantly, a pressurized steam system to work its own magic. It easily cleaned both the gold and silver accessories that we placed in it to just test out its capabilities. But to be more specific, let’s say the silver ones definitely haven’t shined that much since the time we bought them. The level of work that the cleaner pours into getting rid of tarnish, dirt, blemish, etc—is really impressive. And despite that kind of thorough cleanup, it doesn’t mean the cleaner is in anyway harsh. There are different time cycles available to be used. The more delicate the item is, the shorter the time it uses in the cleaner. So when you think of jewelry pieces like wedding rings, anniversary jewelry, heirlooms, you just pick the shorter cycles for them to go through. If they need more time, you’ll definitely know at first glance. Having made that point, there’s still the option of buying the cleaner for someone. Here, we think it’s either the person you’re giving it to is a total fan of jewelry accessories or there’s a possibility that she’s going to use it professionally. Otherwise, you may need to consider solution-based cleaners or maybe even an electrical one (the next one). 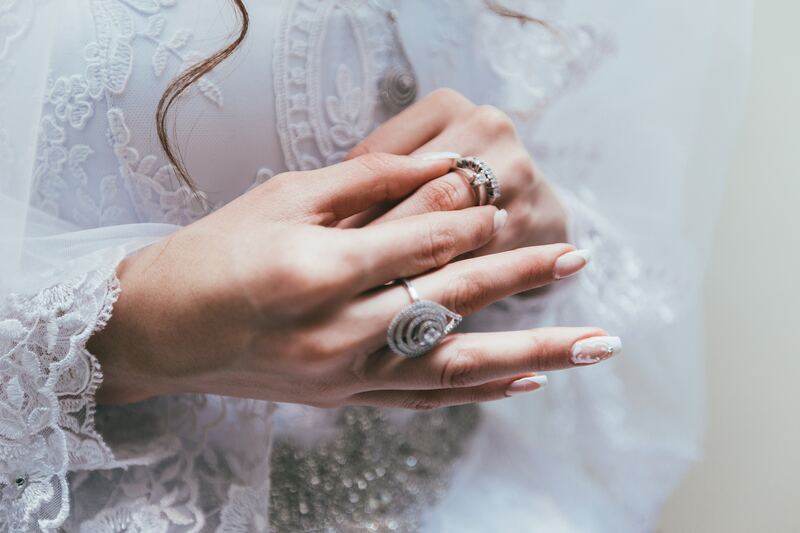 From weddings rings with diamonds encrusted along the side, to necklaces with a gemstone pendant, you’re definitely not limited in application. Any piece of jewelry that you have, which is made of silver or otherwise will be cleaned of all dirt or tarnish. Heck, we advise you to even go further by picking up your daughter, friend, or partner’s jewelry to give them all a thorough cleanup. The tiny bubbles produced by the cleaner seamlessly bites at all the dirt that has accumulated and covered up the luster. This opens up the jewelry pieces for another round of use. You won’t need to throw away a long time favorite of yours, just because it’s a bit tarnished. And on that note, let’s now talk about the work process. For all of the jewelry that you have in the house, keep in mind that the more stones it has or the more intricate it looks, the longer it should use in the ultrasonic cleaner. This essentially means the cleaner gets to spend more quality time with the piece of jewelry to make it flawless for your next event. Definitely, a nice idea as the extra kick in look is always needed at times. Still, do note that delicate items shouldn’t spend too much time in the cleaner. We found a couple of questions and then we decided to answer them since it’ll help out when you have to make a decision. Which ingredients can substitute that of jewelry cleaners? There are a lot of methods for making silver jewelry cleaners at home. And despite which one you choose to go with, most, if not all the ingredients you’ll need should already be in your kitchen. After that, you’ll have to combine all of these ingredients in some steps. To that, the first thing we start with is boiling enough water to fit the bowl you picked. Note that you should measure the water with a cup (moderately sized) as it’ll be needed later when you need to use the baking soda. When you’re finished, whip out the baking soda and add 1 tablespoon per cup. That essentially translates to using 5 tablespoons if you’re boiling 5 cups of water. Having gone through that, let’s move on to how you’ll be using the other ingredients while the mixture boils and bubbles in the meantime. 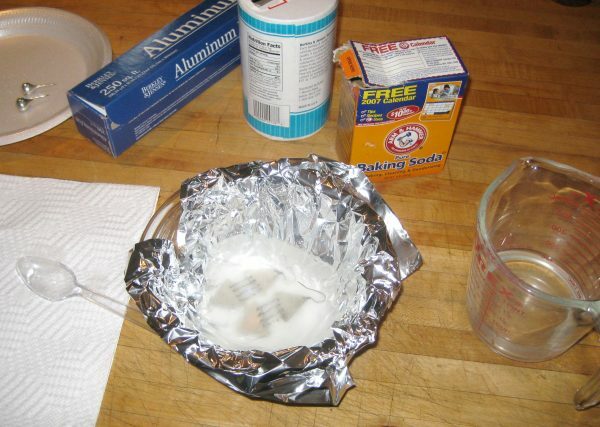 Start by placing the aluminum foil inside the bowl, making sure it properly lines the bottom. You can then follow that up by putting your jewelry piece(s) in the bowl—making sure that every one of the items has direct contact with the aluminum foil. When that condition has been satisfied, you now pour the boiling water and baking soda on the jewelry pieces. Let the items stew for a few minutes, though it really depends on the level of tarnish the silver jewelry pieces have on their bodies. You may have to do this multiple times to really get all that discoloration off. Note: This works strictly with silver or anything that’s covered in it. 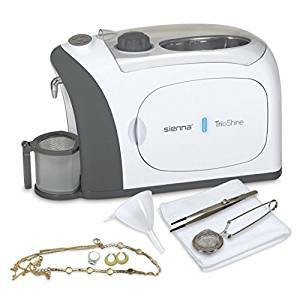 How do ultrasonic jewelry cleaners work? 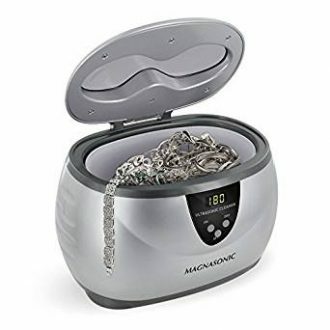 Ultrasonic jewelry cleaners or better yet, UJC uses sound waves that are higher than the upper audible limit we humans are tuned to. From there, the waves combine with chemicals that aid cleaning to form tiny bubbles that are naturally attached to anything found in their way as a whole. The bubbles can’t harm the silver inside since it’s far stronger. On the other hand, the dirt and tarnish are far weaker against their onslaught. The result is a detailed finish on your pairs of earring, necklaces, glasses, watches, and any other type of jewelry that you have which is made out of silver. They’ll simply bling in a way that no polishing will ever make them. What’s the difference we noticed between solution-based ane ultrasonic jewelry cleaners? There’s nothing to not enjoy with jewelry cleaners. Both types (solution or wave-dependant) are cheap and very effective, and though we could have compiled a list strictly filled with either, their applications and thus potential were different. On one hand, we could have compiled a list of ultrasonic jewelry cleaners alone. The two things that stopped us from doing just that was because UJCs are a bit chunky and they also have the limitation of electricity. Those facts mean they’re not necessarily the best if you’re on the move a lot. Electricity may become an issue—in which case, solution-based cleaners are always effective regardless of the situation. No stress since it’s just a dip for a while, with no need for power. The chemicals do that part well enough if you ask us. 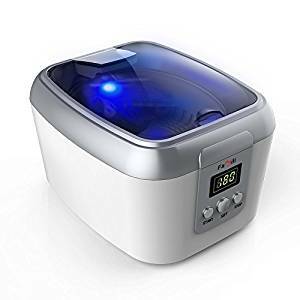 Why prefer ultrasonic jewelry cleaners? 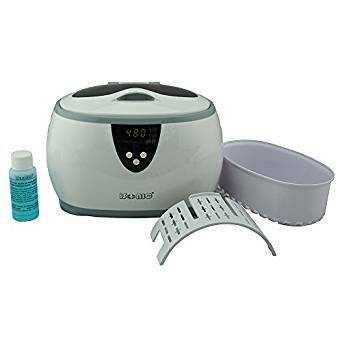 For both tarnish and dirt, ultrasonic jewelry cleaners are better since they have the advantage of better technology. 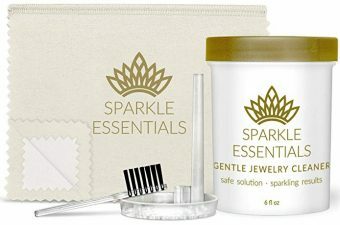 Looking at the solution-based jewelry cleaners, they only have their ingredients as their secret weapon. In contrast, UJCs have timed cycles and bigger bodies and thus, more space for jewelry. Also, most UJCs will either be ineffective or they’ll simply work as you wanted them to. There’s never the possibility of the devices creating marks or even eating through the metals since only bubbles are being used in cleaning the pieces of jewelry. We think it would be much better to have both types of jewelry cleaners on hand. 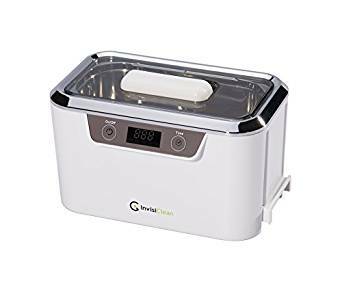 Situations may sometimes arise that you won’t have the time to wait for the minutes that ultrasonic jewelry cleaner will take to clean your jewelry. Other times, the issue of light rears its ugly head. This is why it’s a nice move to have the solution-based jewelry cleaners around you. Nonetheless, the price may be an issue and in that case, we say you pick anyone that fits you. You could even create a homemade solution if the amount you’ll be cleaning isn’t that much. There’s nothing wrong with being cost-effective because you’re not trying to impress anybody. It’s just you, your jewelry, and the tarnish/dirt you just found.